World of Warcraft news » Join the Celebration and Honor the Elders During Lunar Festival! Every year the druids of Moonglade hold a celebration of their city’s great triumph over an ancient evil. During the Lunar Festival, citizens of Azeroth have the opportunity to honor their elders by celebrating their sage wisdom, sharing in magnificent feasts…and of course, lighting fireworks. The celebration has begun in Moonglade, and your Lunar Festival Invitation is waiting. Join in the fun by dressing up in your Lunar Festival finery, launching fireworks, and paying homage to the Elders throughout Azeroth. The Lunar Festival is a time of celebration for the peoples of Azeroth. At the beginning of each year, elders of generations past manifest around the world to impart their wisdom upon all who listen. Should you encounter these venerable spirits in your travels and take the time to heed their words, they may even pass along tokens of their gratitude—Coins of Ancestry, the lessons of a past age in physical form. Gather enough Coins of Ancestry and the Cenarion Circle will open their stores of celebratory garb, fireworks, trinkets, and recipes! The Cenarion Circle has good cause to celebrate, for the Lunar Festival marks the return of many Ancients that fell in battles past: Goldrinn, Malorne, Aviana, and Cenarius himself. But this celebration is darkened by the eternal torment of one of their own—Omen, a wolf Ancient blessed by the moon goddess Elune, has risen from the depths of Moonglade’s lake. Though Omen was once as noble and proud as any Ancient, he was driven mad by the Burning Legion’s tainted magics during the War of the Ancients. Omen’s immortality means that he is forever cursed to return in his maddened state at the advent of each new year—and this year, he has grown further in power. Heroes level 20 and above must make haste to ease this tormented Ancient’s suffering, in the hopes that perhaps next year he will return with a clearer mind. 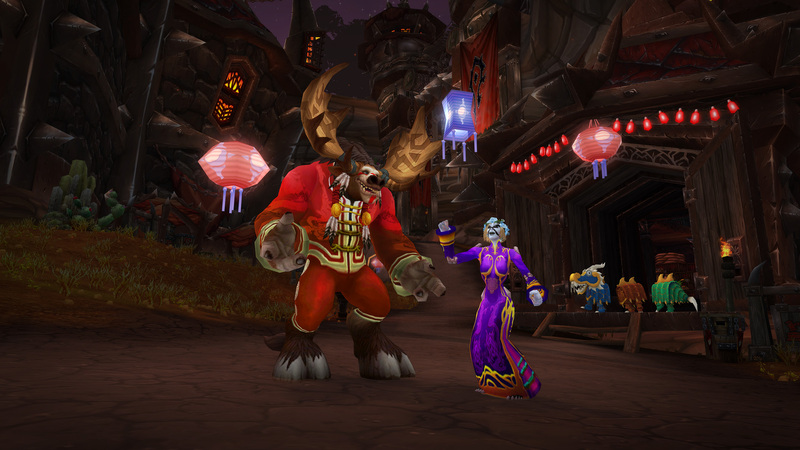 The celebration begins with an introductory quest, The Lunar Festival. The Cenarion Circle has invited all denizens of Azeroth to take part in the celebration of the Lunar Festival. 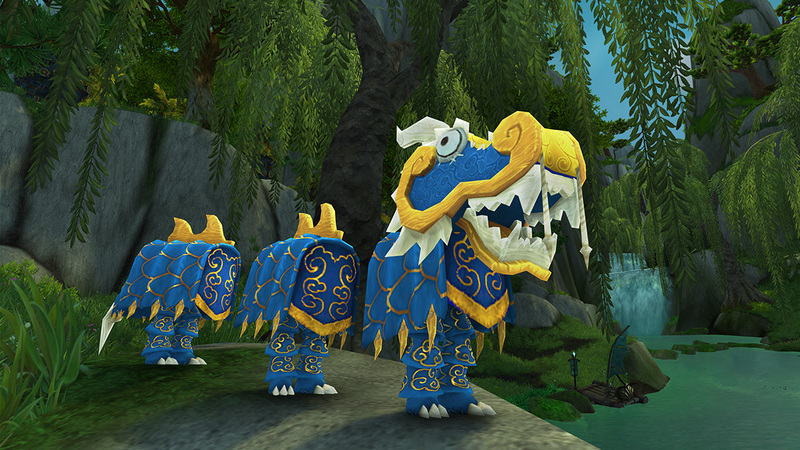 You can learn more about the event by meeting with the Lunar Festival Harbinger. It wouldn’t be a celebration without fireworks. You’ll be asked to buy some Lunar Fireworks and Cluster Fireworks to launch and complete the quest Lunar Fireworks. Once you’ve proven your pyrotechnic prowess, you’ll receive your Lunar Festival Invitation to travel to Moonglade and speak with Valadar Starsong in Nighthaven. With your invitation in hand, you’ll be able to travel quickly to Moonglade by standing within Greater Moonlight throughout the holiday. The Lunar Festival features has 16 achievements and one meta-achievement. Elune’s Blessing: Complete the Elune’s Blessing quest by defeating Omen. Frenzied Firecracker: Shoot off 10 Festival Firecrackers in 30 seconds or less. Lunar Festival Finery: Purchase a festive pant suit or festive dress with Coins of Ancestry. The Rocket’s Red Glare: Shoot off 10 Red Rocket Clusters in 25 secons or less. There are five achievements involving Coins of Ancestry: Receive a Coin of Ancestry, Receive 5 Coins of Ancestry, Receive 10 Coins of Ancestry, Receive 25 Coins of Ancestry, and Receive 50 Coins of Ancestry. It's a good time to travel Azeroth, see the sights, and pay your respects to the various Elders. Visiting an Elder will reward reputation with select capital cities, a Coin of Ancestry, some experience and gold, and a Lucky Red Envelope. Elders of Eastern Kingdoms (17): Honor the Elders located in Eastern Kingdoms. Elders of Kalimdor (21): Honor the Elders located in Kalimdor. Elders of Northrend (18): Honor the Elders located in Northrend. Elders of the Alliance (3): Honor the Elders located in the Alliance capital cities. Elders of the Horde (3): Honor the Elders which are located in the Horde capital cities. Elders of the Dungeons: Honor the Elders which are located inside the dungeons. Elders of the Cataclysm (9): Honor the Elders which are located in zones opened by the cataclysm. New! There are two new Dragon Costume colors. You’ll be able to purchase blue and green to add to your collection or mix things up. 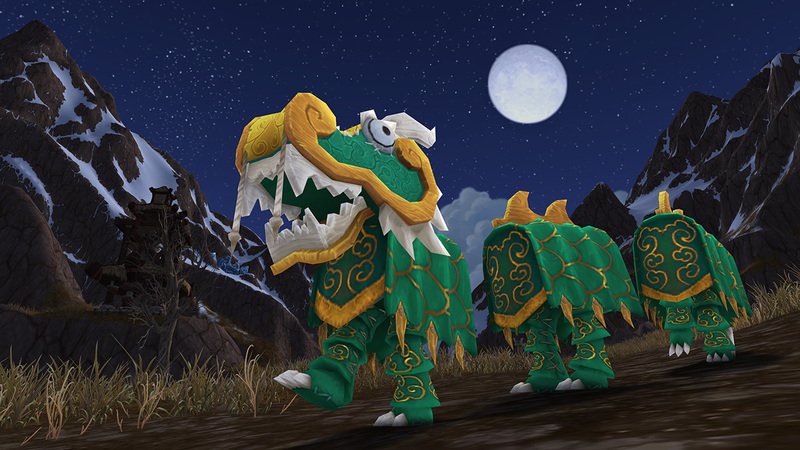 Learn more about the Lunar Festival on Wowpedia or on Wowhead's holiday guide. *Players who wish to travel to old Undercity will need to speak with Zidormi in Tirisfal Glades east of Lordaeron Keep, just outside of the burned scar near the road.